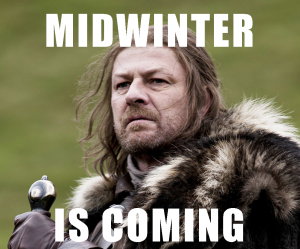 The ALA Midwinter Meeting is quickly sneaking up on us. Some of you may be on their way to Seattle as we speak. This will be my first MW, as I’ve never been heavily involved in national committee work. LITA Happy Hour: I’ll be arriving in Seattle sometime Friday afternoon, so this seems like a good way to ease into Business Mode and touch base with all of you whom I haven’t seen (in person, at least) in a while. Friday from 5 to 7 at Elephant and Castle. Digital Literacy: Setting the Agenda: I’m really excited to be a part of the Office of Technology Policy’s Digital Literacy Task Force. This is your opportunity to learn what we’ve been up to and ask questions about how libraries of all types should tackle the issue of digital literacy. Saturday in the Convention Center (TCC 304) from 1 to 2:30. Digital Learning Center: One of the measures that the Task Force is supporting is the PLA Digital Learning Center, a web resource-in-progress designed to provide curated resources for end-users and a community of practice for trainers, librarians, and other educators. Project manager Jamie Hollier has fantastic plans for the site, but to get there it’s going to need broad support – particularly from public libraries. Saturday at the Sheraton Seattle Hotel (Eagle Hall), from 4:30 to 5:30. PLA Program Subcommittee: Here’s the biggie on my agenda. I’m part of the group helping to assemble the program for the 2014 PLA Conference in Indianapolis. I’m eager to bring some new types of programming into the mix, working to include explorations practical library skills, change management, and other methods for ensuring the place of the public library in the cultural marketplace. Please send me your suggestions for program ideas, and get your proposals in by the March 28th deadline. Those are the big meeting I’m planning to attend. But there are a few big issues that I’d like to discuss with people at the conference. Metrics: Finding new ways to quantify library data has been a major bugaboo for me for at least a few years now. There’s a sea of data out there that we can use to get a better picture of how our communities make use of our services. It’s just a matter of finding the right questions. Do you fancy yourself the Nate Silver of the library world? Find me at MW. Let’s talk. Participatory Librarianship: All my work with the Chicagoland Library Unconference has had me thinking a lot about…well, new ways of being a practicing librarian. How do we make the patron-library transaction more participatory? Is there room for entrepreneurial thinking in the public sphere? How do we usher in new roles for libraries while staying true to the “classic” concepts of the profession. There’s a lot of stuff going on here. The Midwinter Bump: Once again, I’d like to take a look at some of the major book awards chosen by ALA committees, and see what kind of effects they’ve had on sales. There were some clear bumps on many titles, both in terms of immediate sales figures and raising the baseline that construes an average sales week. Can you help me out? Send me an email if you’re on an award committee, and I’ll explain further. Outside of all those categories, I’m simply looking forward to talking shop with anyone and everyone. Want to say hi? Tweet me, and we’ll meet up. I was given the opportunity to give two talks at Reaching Forward this year, in partnership with Tony Molaro of Prairie State College. For those of you outside of Illinois, Reaching Forward is the state’s annual conference for library support staff. This is the second time I’ve been to this conference, and I’ve always had a great time. Thanks to the fine folks at the Illinois Library Association for putting together a great event, and to Tony for being a fantastic co-presenter. How about that Midwinter Bump, eh? If you follow EarlyWord, you’ve probably seen the dramatic immediate effect the Caldecott, Newbery, and Printz awards have had on the Amazon rankings of their respective winners. One week out, we’ve got to ask ourselves the inevitable question: is it sustainable? So far, we’re seeing some qualified successes in a number of categories. Here’s the chart compiling the before-and-afters that I’ve received so far. Titles that have gained in Amazon ranking since the awards are noted in green, while those that have shown a post-announcement drop are marked in red. What do we see here? For many of the awards, the difference has been dramatic. Children’s books don’t tend to make the Amazon top 100, and both Dead End in Norvelt and A Ball For Daisy cracked the top 20 within a day of the award announcement. Belpré winner Diego Rivera: His World and Ours reached #2200 by January 23rd. Even awards given to a group of books showed considerable gains. 8 of the 10 Alex Award winners leapt up by significant degrees. Of the two that didn’t make the leap, The Night Circus held steady, and Salvage the Bones is likely coming down from a much bigger bump – that of the National Book Award. There may also be evidence of awards affecting the other formats a title comes in. Upon seeing that Daniel Kraus’ Rotters had won the Odyssey award (given to the best audiobook for children or young adults) I mistakenly logged the Amazon rankings for the print book. The result? Pre-Odyssey, Rotters had an Amazon ranking of 412,089. The day after the award announcement, it had climbed to 37,357. That’s a pretty big jump! (By contrast, the ranking for the audio CD version of the book is somewhere in the 900,000-1 million range.) This is just one example, but it would seem that the award has had some effect on sales. Find another measurement rubric to corroborate this information. Amazon metrics are nice, but they don’t give us the complete picture. Beyond the fact that Amazon is only one seller, the ranking number doesn’t give us any information about the number of books sold. (For all we know, the difference between positions #100 and #10,000 on the sales chart is just a handful of books.) I’m hoping to identify other sources of sales information. If I have to hack into the Bookscan database, so be it. Identify non-award winning titles to serve as a control group. Getting a bump in sales is one thing, but some of these awards can set a book’s sales on a wholly different trajectory. It’d be nice to gather some of the “contenders” from various key categories. Assuming I can find a way to get historical sales records, the differences should be pretty stark. If anyone can suggest a few control titles, it’d be a big help to demonstrate the comparisons. Create new ways to measure how libraries can influence sales. Is there merit in libraries honoring books that libraries themselves cannot circulate? Neither the current Printz nor the Newbery winners are available via current library eBook vendors. I don’t want to espouse scorched-earth tactics, but we’re putting ourselves at risk if we continue to celebrate titles that cannot be shared. Maybe we can create a better carrot, so that such a stick isn’t necessary. Several weeks ago, I had a conversation on Twitter about creating tools to highlight titles that are available via Overdrive, Cloud Library, or Axis 360. If we have a good set of metrics in place, this could go a long way toward quantifying those things we previously considered to be intangible. All we’d need is a framework, and a list of titles to work with. So far, the results of this experiment have been quite positive. On the eve of ALA’s big eBook summit with selected Big 6 poobahs, we’re finally starting to see some signs of being recognized as valuable parts of the publishing economy. The door’s been opened a crack. Let’s see if we can blow the sucker off its hinges. Can you help? Leave a comment, or email me at theanalogdivide at gmail if you’d like to pitch in.